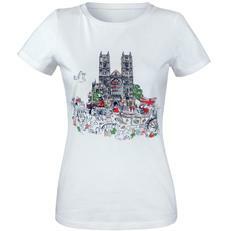 We're into the final few days before the wedding and there is definitely a buzz about town! 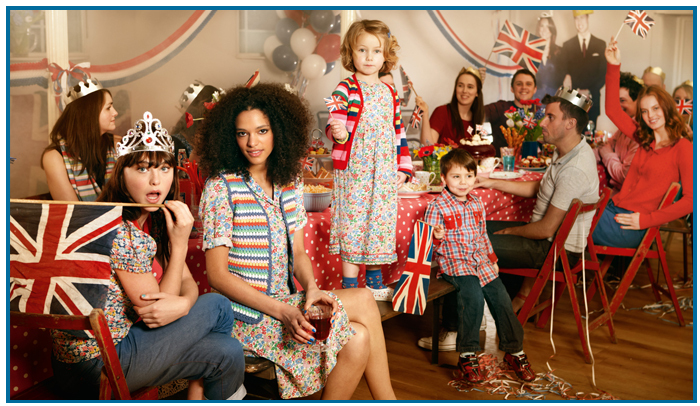 Street party planning is in full swing, and even though I won't be in the country - I'm feeling more patriotic than ever! 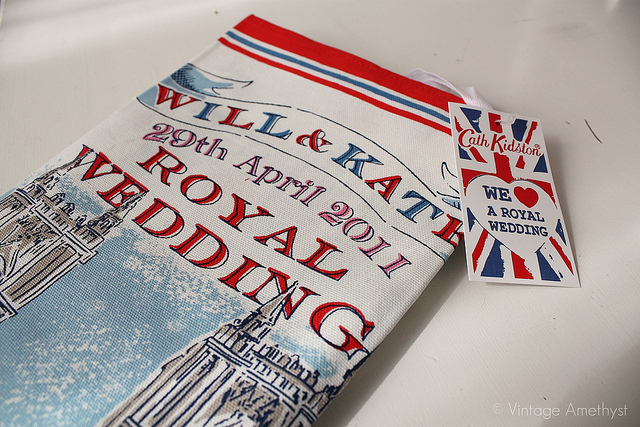 On Saturday morning I had a lovely surprise from Cath Kidston in the form of a celebratory tea towel for this week's royal wedding. When every man and his dog is flogging knock off Kate and Wills mugs, Cath Kidston seems to be one of few capable of keeping the day classy and quintessentially British. Cath Kidston is certainly leading the way with their engagement goodies - so I recommended you go and take a look - their stores look fantastic in the run up to the big day, or check them out online here. 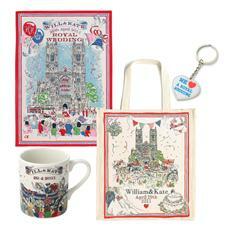 Their Royal Engagement pack, at £30 (above) covers every base. And also check out that my earlier posting on their engagement tee. Cath Kidson is lovely but only in small doses!